An ideal gift for the expectant couple, Baby Shower or New Born gift. 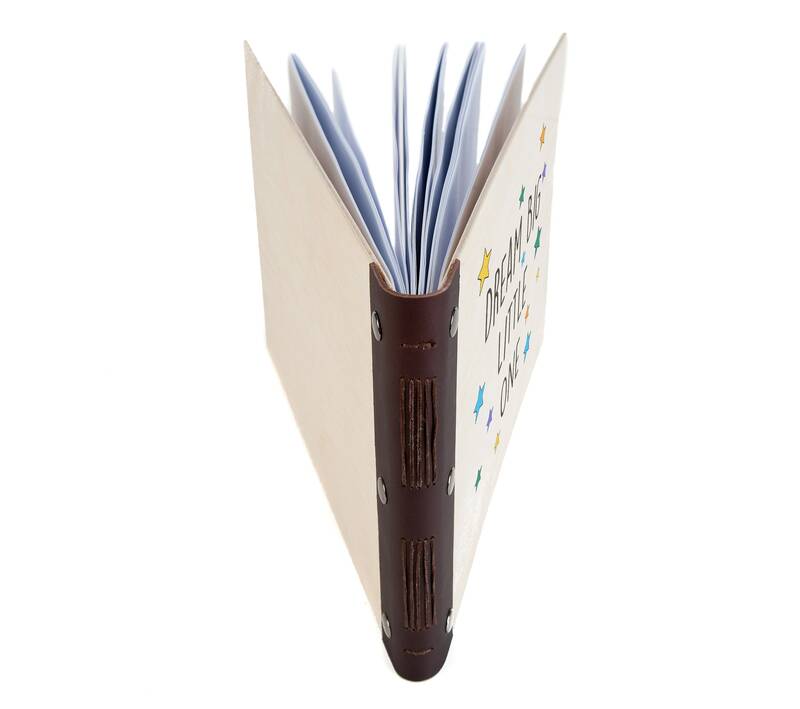 This A5 journal (210mm x 148.5mm) can be used as a memory book to record all of those special moments; as a guest book where friends and relatives can pass on hints, tips and wishes; a photograph album; or even a keepsake book, scrapbook or journal. 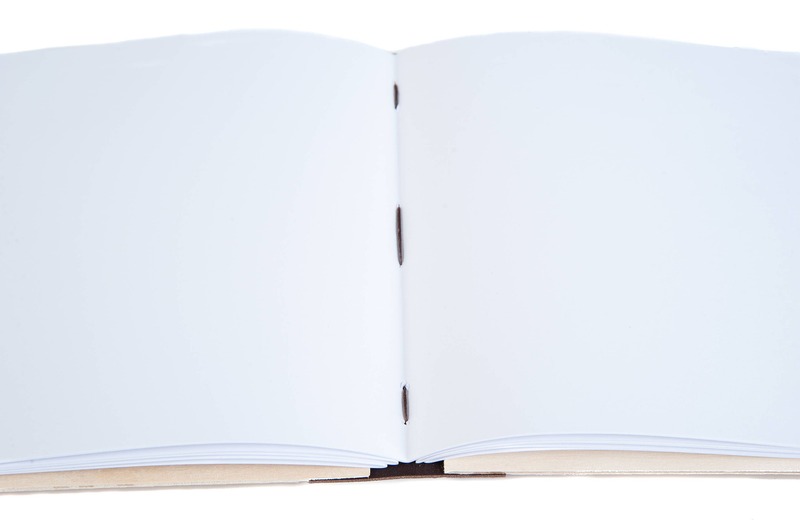 The 120gsm white cartridge paper can be written on or drawn on directly, and photos and keepsakes can be stuck in using double sided tape or glue dots. 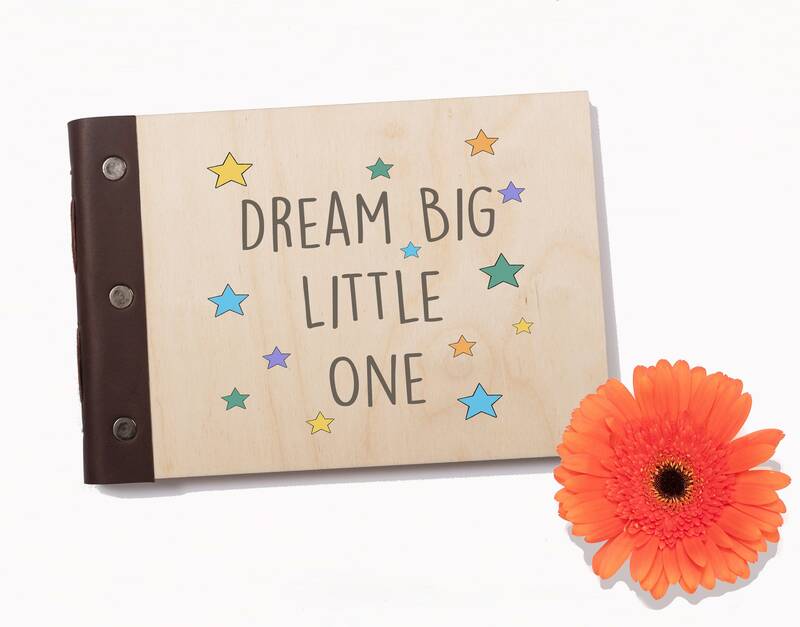 A great place to write all those special milestones, and funny words or phrases they use, stick in hand prints, foot prints, or a lock of hair. These fleeting moments can then be treasured forever. 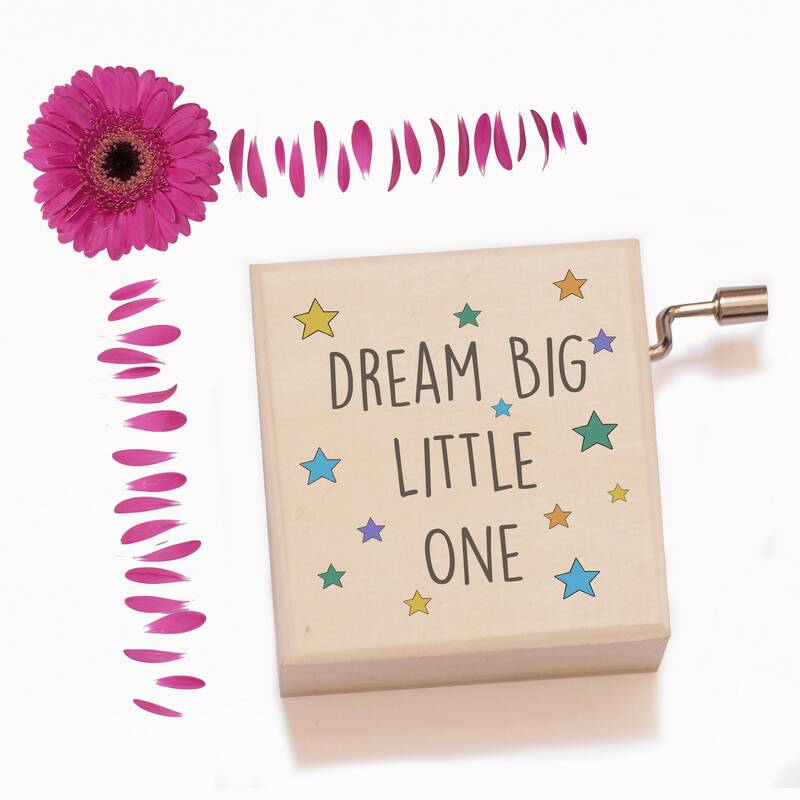 The album is produced using ethically sourced birch ply, bound with top quality leather, finished with gun-metal rivets, with the words 'Dream Big Little One' on the front cover in a quirky modern font. Each book contains a minimum of 100 pages of premium quality 120gsm cartridge paper (more can be added using the drop-down menu), perfect for displaying your photos and also your notes or sketches. The paper has very good 'tooth' for pencil and charcoal sketching). 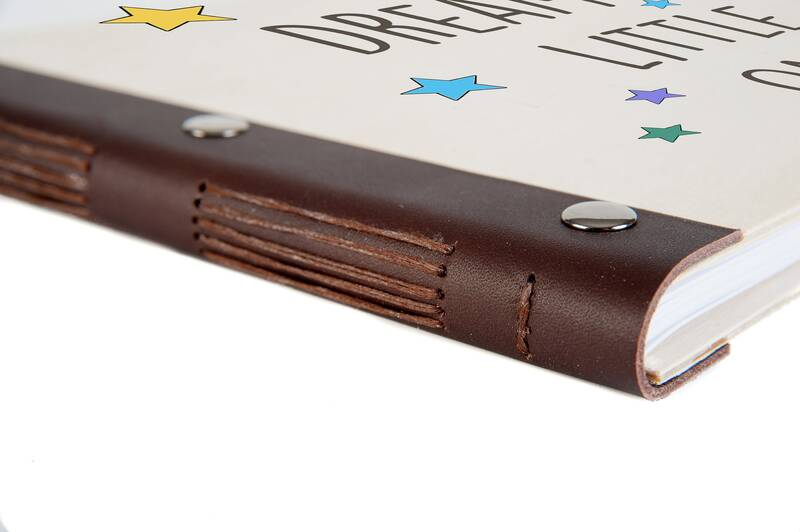 The pages are stitched into the leather using brown waxed cotton, which allows the opened album to lie flat, making it a great choice for either a photo album, a guestbook or a journal. Please let us know your personalisation requirements when you place your order. 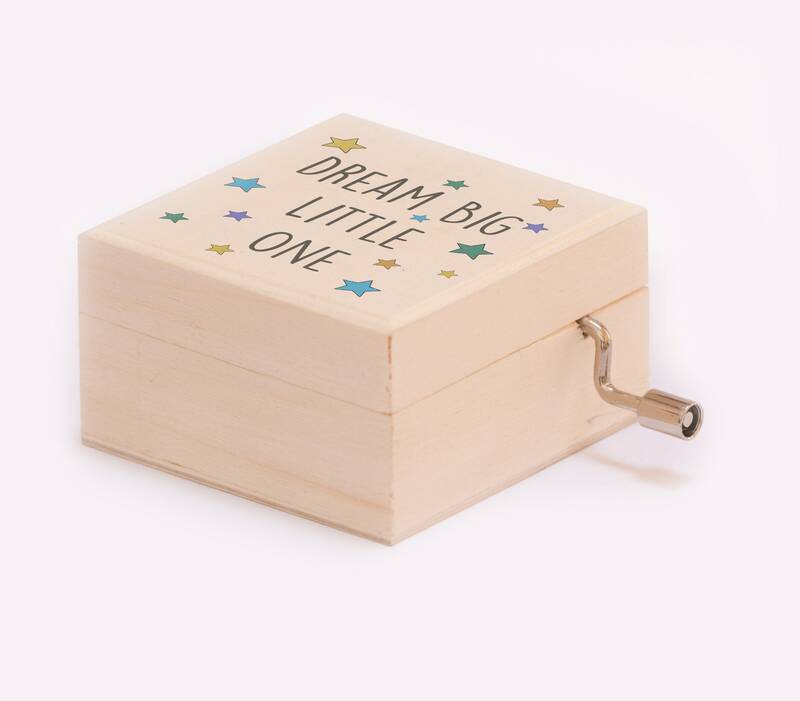 You can also add a charming matching music box (measuring 65mm x 65mm x 35mm - perfect for little hands) which plays 'Brahms Lullaby' when you turn the handle. 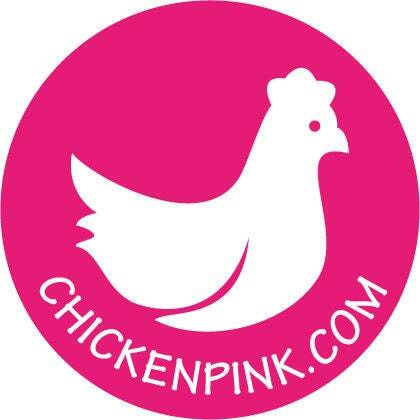 All ChickenPink's personalised gifts are made to order, therefore the sky's the limit in terms of personalisation! If you would like anything specific designed especially for you, or just simply changing fonts/colours, etc. then please don't hesitate to contact us.